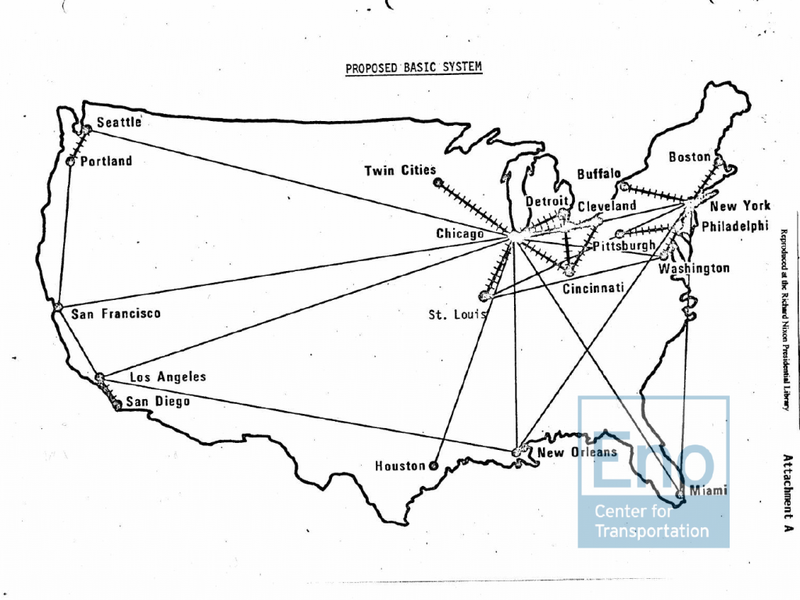 An October 16, 1970 USDOT information packet on the “Railpax” bill. A memo on the same date from White House domestic policy chief John Ehrlichman to Transportation Secretary John Volpe saying that any spending in the final Railpax bill in excess of that requested by the Administration would be impounded. An October 28, 1970 letter from the head of the Association of American Railroads recommending that the President sign the bill. The October 29, 1970 enrolled bill memo from the Bureau of the Budget summarizing the bill that had been presented to the President and listing the divided opinions of his advisors as to whether or not he should sign it. A memo on the same date from Budget Director George Shultz to President Nixon explaining his recommendation that the President veto the bill, to which was attached an October 27 letter from Council of Economic Advisers chairman Paul McCracken recommending the same. An October 30, 1970 memo to Ehrlichman from Ehrlichman’s deputy Ken Cole discussing Congressional views on the Railpax bill and forwarding an October 29 memo from White House legislative affairs staffer Bill Timmons recommending that the bill be signed. Cole’s memo also relays a conversation between George Shultz and John Volpe in which Volpe said he thought he should not send a letter with his views to the President, but Shultz told him to send the letter anyway. President Nixon signed the bill into law on October 30, 1970 as Public Law 91-518 but there was no public signing ceremony or signing statement.